Award-winning western artist M.C. “Mike” Poulsen serves as the Buffalo Bill Center of the West’s Artist-in-Residence September 5–9. He’ll be on hand in the Center’s Whitney Western Art Museum, 9:30 a.m.–3:30 p.m. each day, Tuesday–Saturday, as he demonstrates his techniques and chats with visitors. Poulsen grew up on a cattle and outfitting ranch near Cody, Wyoming, where his love for West evolved from working and painting the people he’s met and the sights he’s observed. Along with the on-the scene encounters, Poulsen’s life experiences add a sensitivity only realized from one’s own adversity. From the loss of his father in a hunting accident to a battle with leukemia leading to a bone marrow transplant, Poulsen says he’s learned, firsthand, the preciousness of life itself. 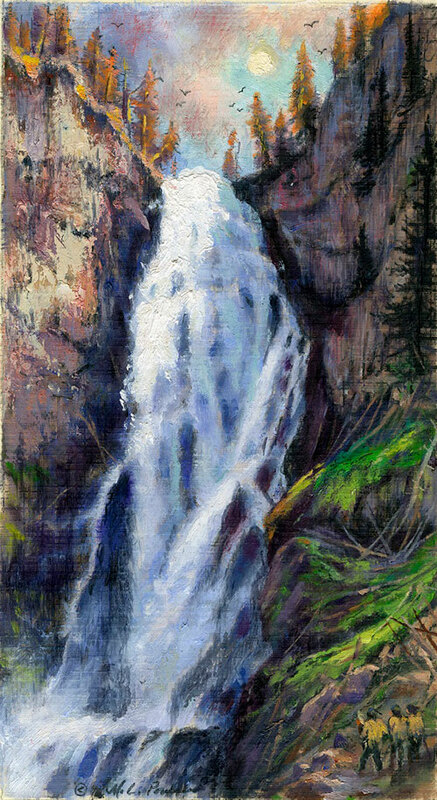 A longtime participant in the Buffalo Bill Art Show & Sale, Poulsen’s most recent undertaking, the Yellowstone Waterfall Project, was one in which he knew he had to play a part. 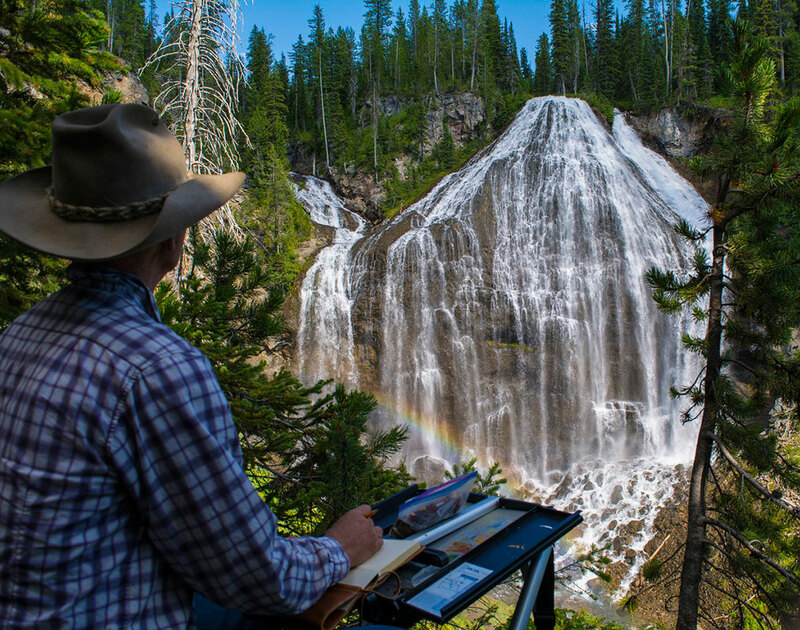 Yellowstone National Park archivist and historian, Lee H. Whittlesey, and Park staffers Mike Stevens and Paul Rubinstein have spent a combined total of several decades documenting all the known waterfalls in the Park—some 250 in all. In the tradition of Thomas Moran (1837–1926) and Albert Bierstadt (1830–1902), who documented the Park’s wonders in the nineteenth century, Poulsen signed on to capture these waterfalls on canvas. Wyoming PBS followed Poulsen throughout the two-year project, providing insight into his vision and creative process. The dynamic documentary Painting the Falls of Yellowstone premiered on June 5, 2017, and is available on video on the Wyoming PBS website. The Center’s Artist-in-Residence is supported in part by a grant from the Wyoming Arts Council, through funding from the Wyoming State Legislature and the National Endowment for the Arts.